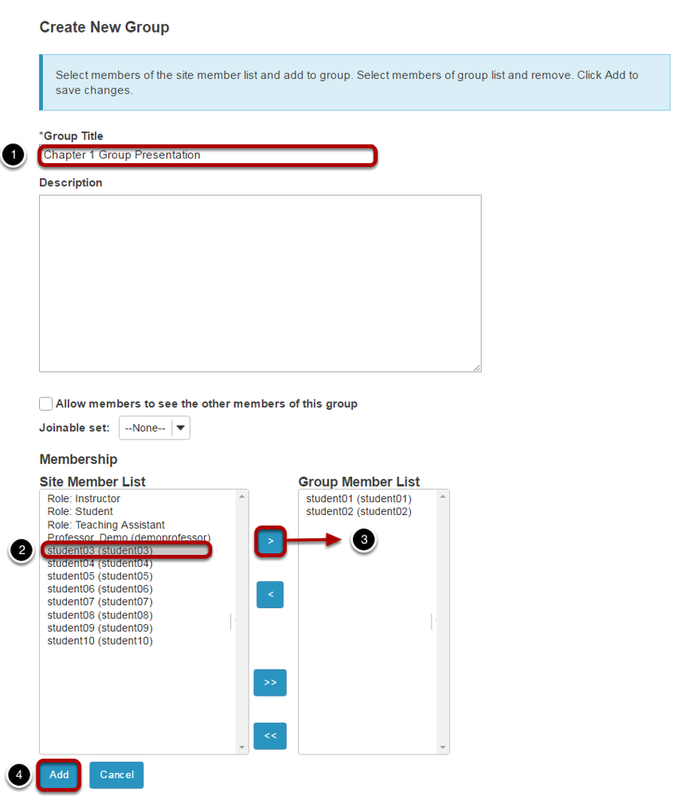 Instructor User Guide Site InfoHow do I create groups? Zoom: Click on Manage Groups. Zoom: Specify the joinable set details. 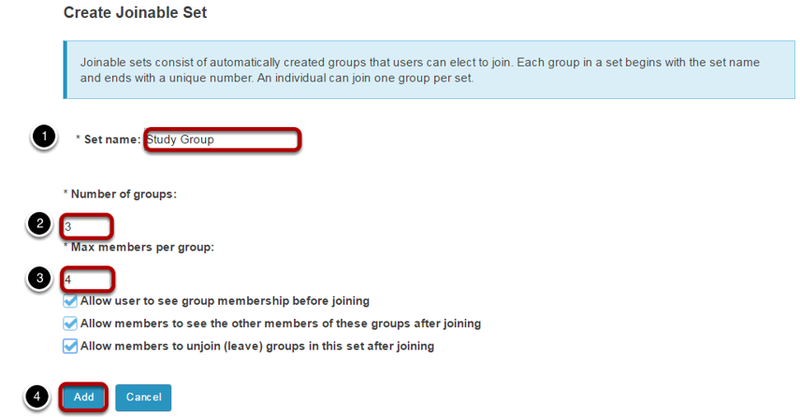 You will need to enter a title for the set of groups. Each group will begin with the same name and end with a unique number. 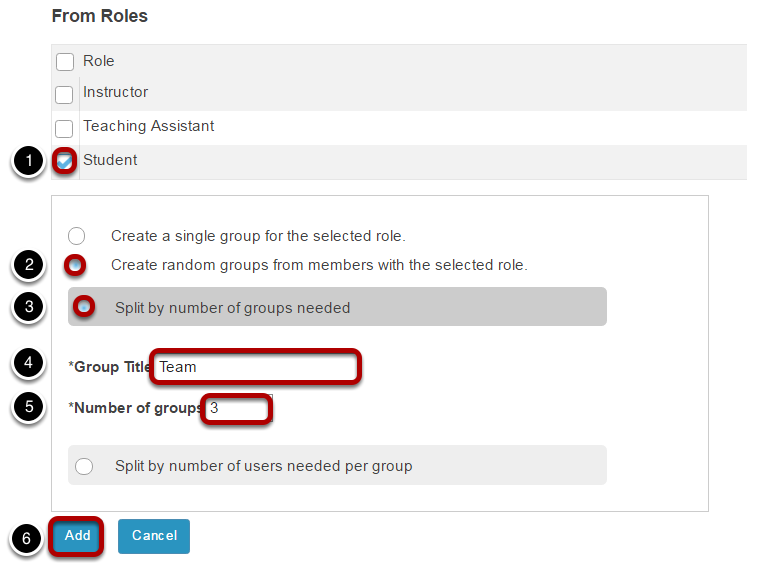 Zoom: Create groups by role. 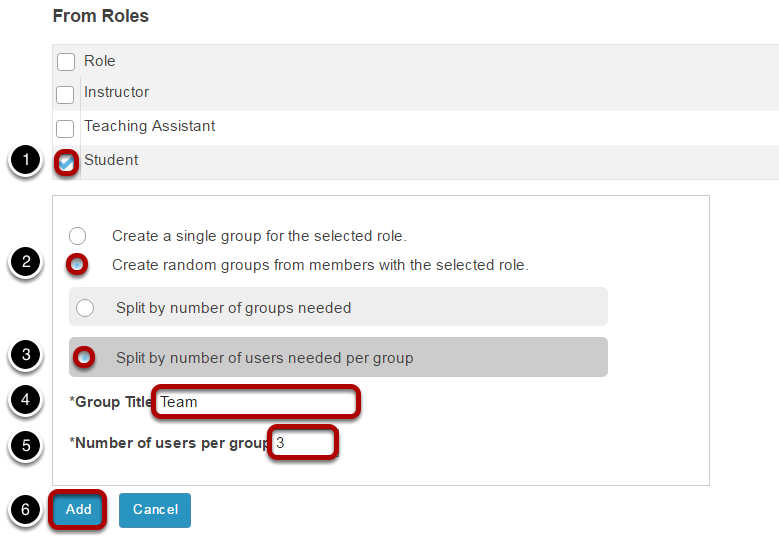 To create separate groups for different user roles in the course, select one or more roles and then click Add.